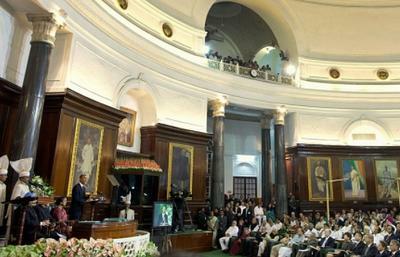 NEW DELHI, India, November 8, 2010 (ENS) – As leader of the world’s oldest democracy, President Barack Obama today capped his three-day visit to India by delivering a message to the Parliament of the world’s largest democracy. “We are two strong democracies whose constitutions begin with the same revolutionary words – the same revolutionary words – ‘We the people.’ We are two great republics dedicated to the liberty and justice and equality of all people. And we are two free market economies where people have the freedom to pursue ideas and innovation that can change the world. And that’s why I believe that India and America are indispensable partners in meeting the challenges of our time,” President Obama said to applause. “As the world’s two largest democracies, we must never forget that the price of our own freedom is standing up for the freedom of others,” said President Obama. During this, the President’s first state visit to India, agreements were reached or affirmed in many environmental arenas: clean energy, climate change, food and agriculture, nuclear weapons and civil nuclear power, weather forecasting, Earth observation and space exploration. On the margins of the President’s trip, trade transactions were announced or showcased, exceeding $14.9 billion in total value with $9.5 billion in U.S. export content, supporting an estimated 53,670 U.S. jobs, according to a statement from the White House. The concept of a joint clean energy R&D center to be located in India was first agreed during Prime Minister Singh’s state visit to Washington in November 2009. During this visit a Memoradum of Understanding was signed, establishing the center. The priority areas of focus for the U.S.-India clean energy center are likely to include: solar energy, energy efficiency, biofuels, clean coal technology and an integrated gasification combined cycle project that turns coal into synthesis gas. It is the U.S. government’s second joint clean energy R&D agreement, after that reached with China during President Obama’s state visit to Beijing last November. To further their rapidly growing clean energy cooperation, today, the United States and India signed an agreement of cooperation in the field of shale gas that will include a shale gas resource assessment in India to be conducted by the U.S. Geological Survey, technical studies on shale gas exploration in India and training of Indian personnel in shale gas exploration and development. “We can pursue joint research and development to create green jobs; give India more access to cleaner, affordable energy; meet the commitments we made at Copenhagen; and show the possibilities of low-carbon growth,” the President said. To that end, the leaders welcomed enhanced cooperation in the area of climate adaptation and sustainable land use, and welcomed the new partnership between the United States and India on forestry programs and in weather forecasting. The weather forecasting partnership features a new agreement to study seasonal prediction of Indian summer monsoon rainfall. India’s Ministry of Earth Sciences and the U.S. National Oceanic and Atmospheric Administration will cooperate to deliver a coupled ocean-atmospheric general circulation model to enhance current understanding of the monsoon system over India that floods vast parts of the country each year. A jointly funded “Monsoon Desk” is being set up at NOAA’s National Center for Environmental Prediction that will coordinate numerical model simulations and diagnostics with the Indian Institute of Tropical Meteorology and India Meteorological Department during the next five years. 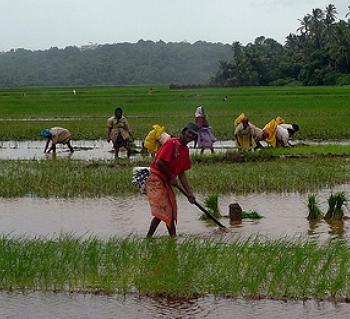 The enhanced monsoon forecasting is expected to enable the transmission of detailed forecasts to farmers beginning with the 2011 monsoon rainy season. Prime Minister Singh and President Obama agreed to work together to develop, test, and replicate transformative technologies to extend food security in India as part of what they called an “Evergreen Revolution,” extending the idea of cooperation between the two countries during the Green Revolution that improved yields in India from 1967 to 1978. Efforts will focus on providing farmers the means to improve agricultural productivity. Collaboration also will enhance agricultural value chain and strengthen market institutions to reduce post-harvest crop losses. “We have also decided to strengthen cooperation to tackle nuclear terrorism, and we welcome U.S. participation in the Global Center for Nuclear Energy Partnership which will be set up in India,” the Prime Minister said. 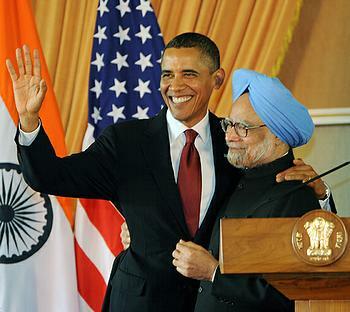 In addition, said President Obama, India and the United States will now start cooperating on civil nuclear power. The United States and India signed a memorandum of understanding that provides a general framework for cooperative activities in working with India’s Global Centre for Nuclear Energy Partnership, which India announced at the 2010 Nuclear Security Summit held in Washington, DC in April. The Summit focused on how to better safeguard weapons-grade plutonium and uranium to prevent nuclear terrorism. In working with India’s Centre, the United States will give priority to best practices on the security of nuclear material and facilities, development of international nuclear security training curricula and programs and joint outreach on security issues to their respective nuclear industries. They agreed to continue seeking ways to collaborate on future lunar missions, the International Space Station, human space flight and data sharing, and to reconvene the Civil Space Joint Working Group in early 2011. In the morning, President Obama and First Lady Michelle Obama will travel to Jakarta, Indonesia, departing from Palam Air Force Base in New Delhi, and arriving at Halim International Airport in Jakarta, Indonesia.